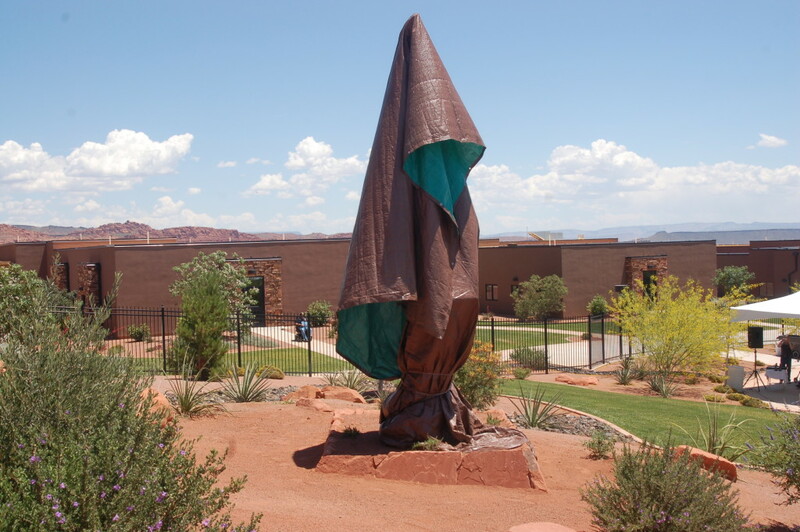 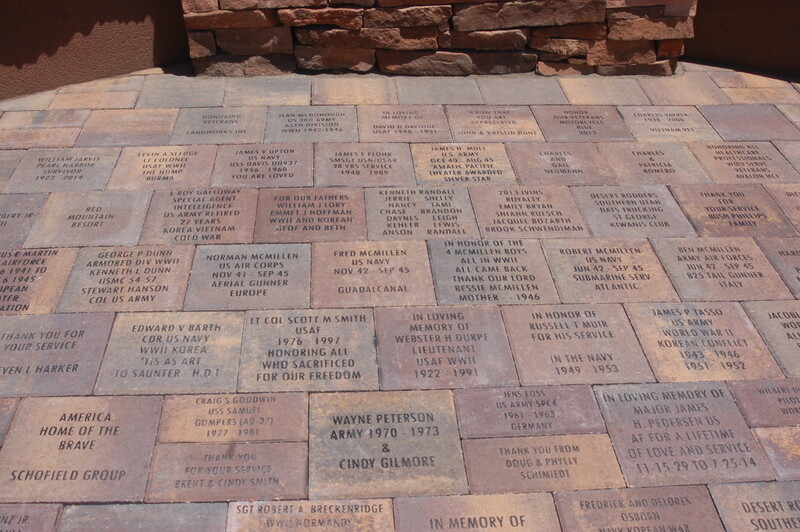 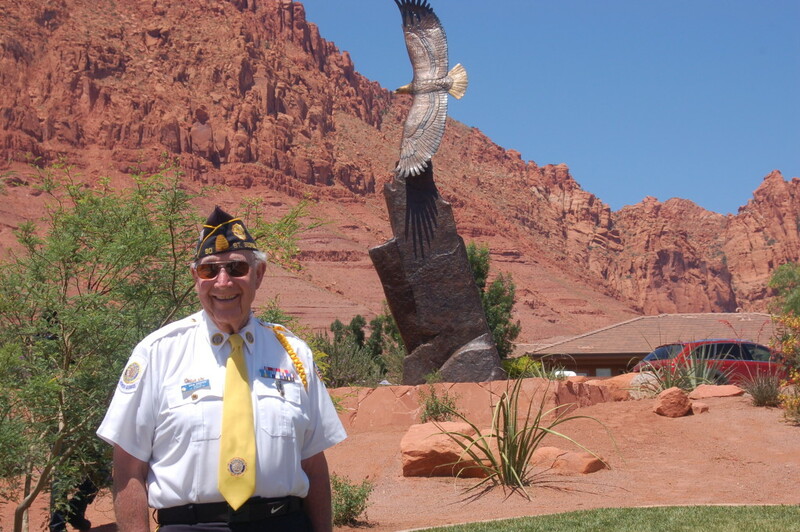 IVINS — Emotions ran high at the Southern Utah Veterans Home in Ivins Friday afternoon as a project, years in the making, came to fruition with the unveiling and dedication of the Freedom Eagle Monument. The dedication was both solemn and celebratory as state and county dignitaries, staff and residents of the veterans home and members of the community gathered together to pay tribute to the hours of work and the many monetary donations that went into creating an artistic piece that is reflective of the service given by the community’s servicemen and women. 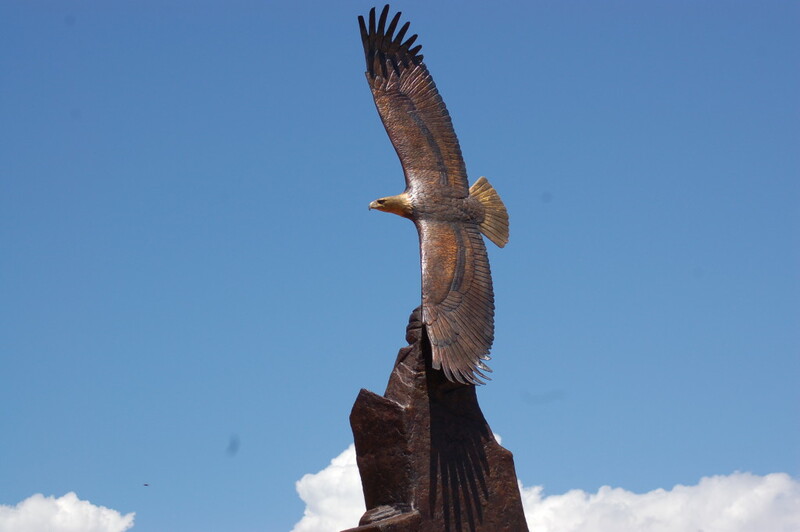 The monument is a 10-foot bronze eagle — sculpted by renowned St. George artist Edward E. Hlavka — soaring in a banked turn almost as if it were circling the grounds of the Southern Utah Veterans Home; symbolically protecting it and its residents. 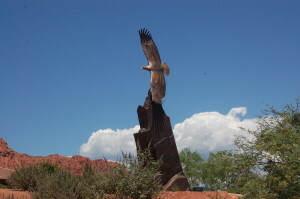 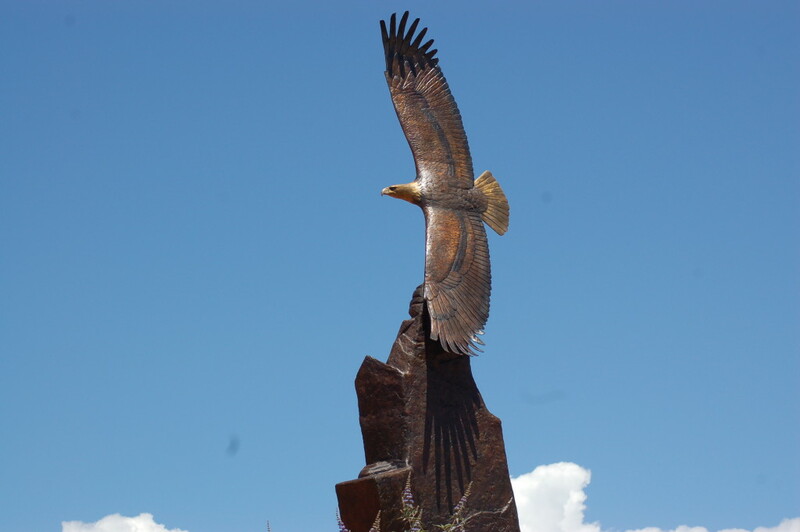 Because of the eagle’s symbolism and its memorialized position in flight, the monument was named “The Guardian,” Ivins Mayor Chris Hart said. 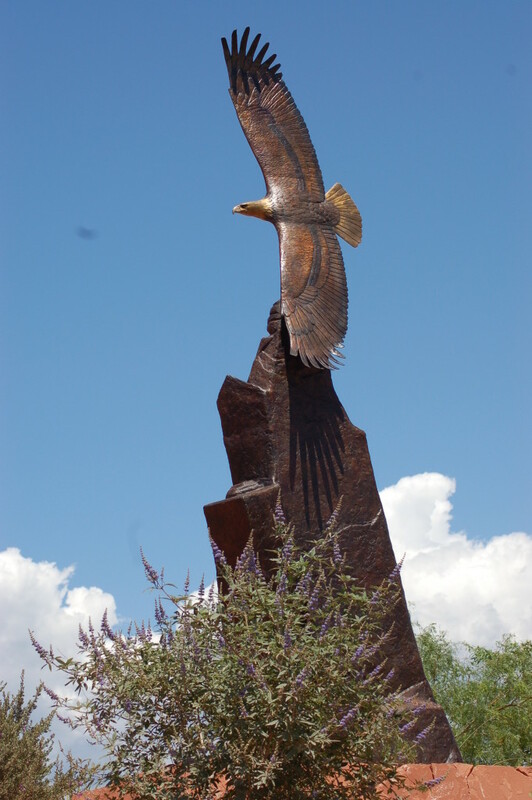 Peterson said that many of their veterans came out to to view the monument adding that they just wanted to be by the eagle because it does represent freedom. 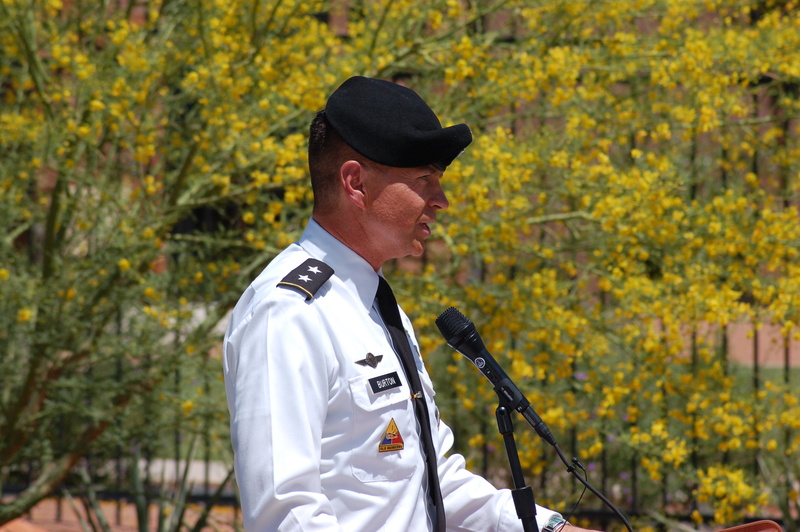 Dedicatory remarks for the monument were given by special guest Maj. Gen. Jefferson Burton who focused his speech on praising the service of the veterans. 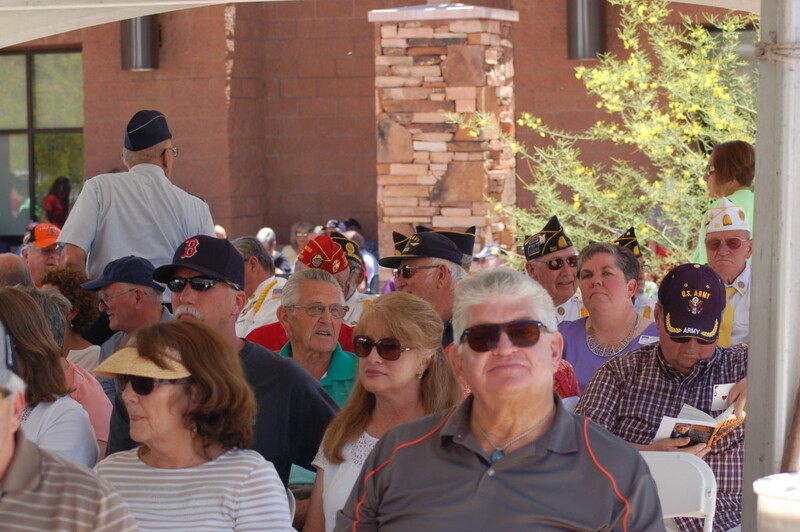 During the ceremony, veterans in attendance were asked to stand so that that they might be recognized by the audience, which they did to resounding applause. 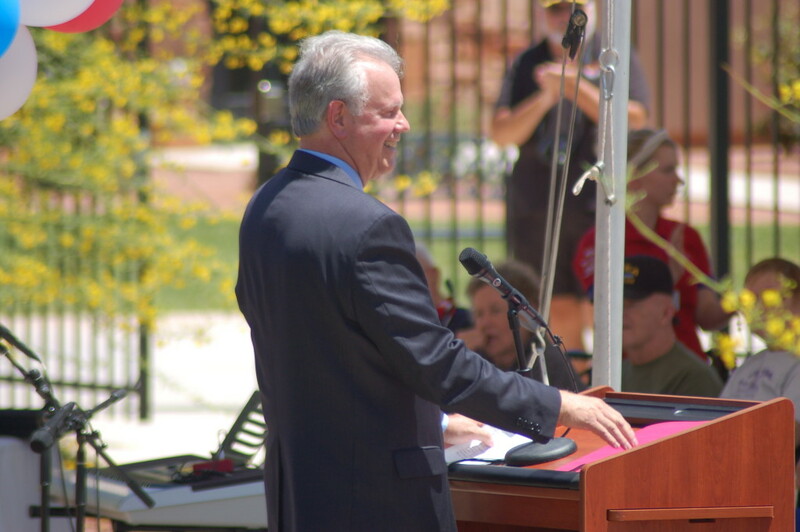 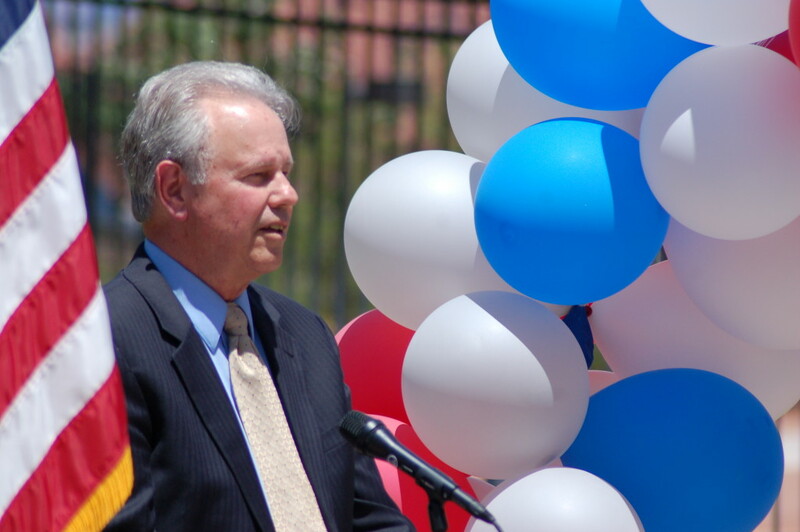 As part of Hart’s remarks a special announcement was made which further serves to honor veterans. 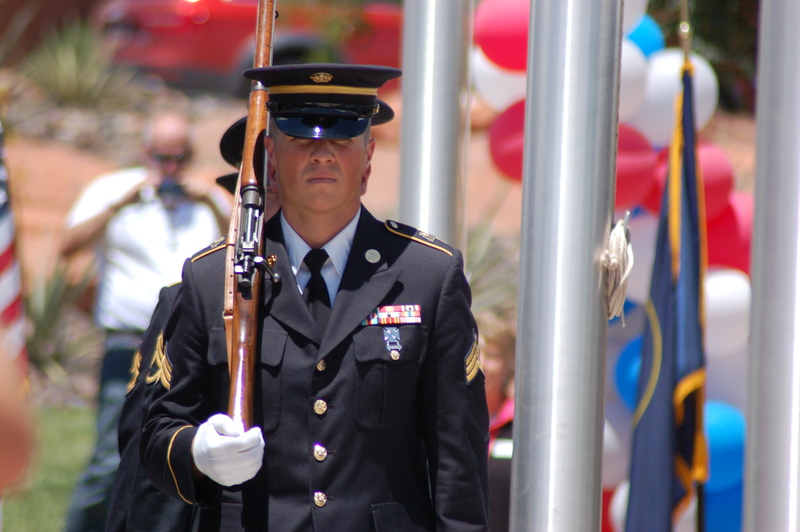 A small piece of property that sits across the street from the veterans home will now be dedicated to the creation of a Veterans Memorial Park where monuments to veterans as well as to the different branches of the military will be erected. 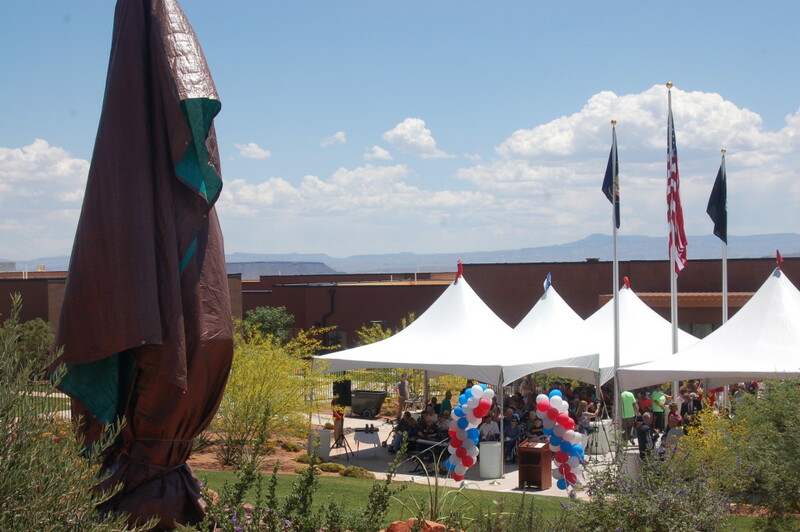 With the striking Red Mountain in the background and the covered monument awaiting unveiling the service appropriately began with the posting of the colors and recitation of the Pledge of Allegiance. 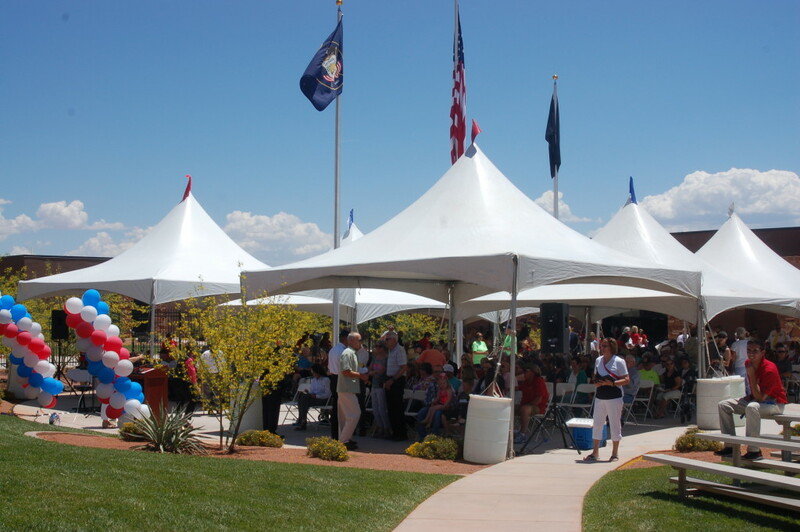 Guests were welcomed by Peterson and remarks were given by Hart, Burton and Jerry Olson, administrator for the Southern Utah Veterans Home. 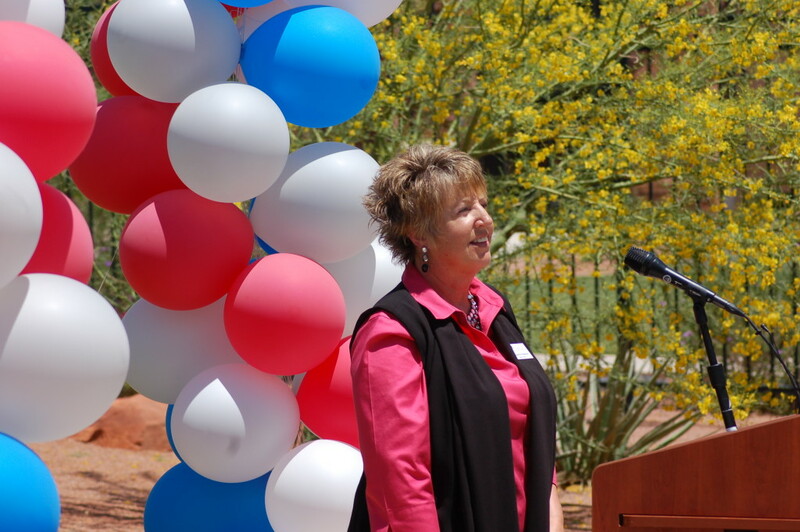 In addition, the dedication, which was well-attended, featured a patriotic musical tribute by the Olson family as well as an uplifting and moving rendition of singer Josh Groban’s “You Raise Me Up” by Brodie Perry. 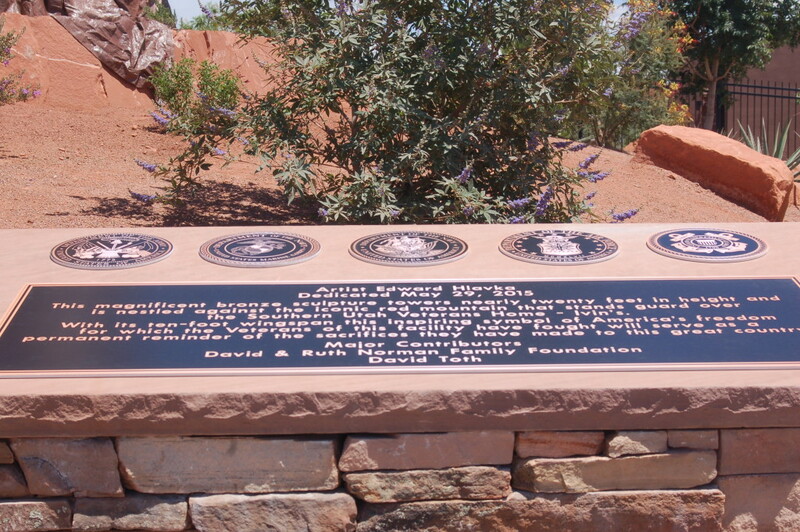 Many thanks were expressed to the veterans as well as to those who donated to the $100,000 project and to Hlavka for his creation.